There were developed and tested samples of flux compression generators, realizing direct conversion of chemical energy of explosion into the electrical one and capable to provide high current electron beams with currents up to 30 kA. There were investigated experimentally graphite cathodes of large cross-section (63 cm2 and 132 cm2), as a part of the microwave generator. For them electron beams with currents above 20 kA were obtained. There were designed and produced compact devices for remote control of broadband pulse generators with the use of optical transmitter and receiver units and synchronization for them. It was developed the technique of synthesis of structures type sandwich graphene/polymer with the number of layers to 4 on dielectric substrates. A series of experimental samples was created. Experimental studies of electromagnetic response of these structures in the microwave band (26-37 GHz) were carried out. It was obtained that in the case of the experiment with waveguide, the structure graphene/polymer can provide electromagnetic screening at the level 75% (50% of the absorption of the microwave signal on capacity and reflection 25% ). A theoretical description of the observed electromagnetic effects was given. The results are published in the Journal of the group Nature, Sci. Reports. Innovative contracts with Russian organizations to develop the work were signed. It was predicted and observed on microtron MAMI, University of Mainz, Germany, the effect of increasing of the length of dechannelling of electrons caused by their capture in the depth of the crystal. The estimation of degradation of the cylindrical part of the electromagnetic calorimeter of the CMS collaboration for the period until 2018 was carried out. Borders of use of lowering the temperature to reduce the noise in photodetectors in detector cells were detected. There were established restrictions and benefits of various scintillation materials for the construction of the front calorimeters of experimental facilities at colliders with high luminosity. The fundamental possibility of growing crystals of lead tungstate in the installation of open type of iridium crucibles was demonstrated. This opens the prospect of producing these scintillating crystals for the needs of high-energy physics. There were examined new types of high-speed photodetectors - solid photo-multipliers. CdTe semiconductor detectors with high atomic number were investigated . For the first time in the frame of the DFT method there were calculated characteristics of the interaction of the hyperfine-condition between the center of the painting "nitrogen-vacancyÂ» (NV centers) in diamond and the closest to the vacancy 13C atom located at the axis of the NV center. It was shown that for such a system a range of optically detected resonance has a characteristic appearance and consists of three pairs of lines, split in zero magnetic field on the characteristic of the system value 187.4 kHz. Under the contract N196847 with Pacific Northwest National Laboratory (USA) on the modernization of software of integrated information system of controls (RIIS) of for Gosatomnadzor of the Republic of Belarus it was developed software to manage sources of ionizing radiation eLab-Atom. It was obtained the certificate of the National Intellectual Property Center of the Republic of Belarus on the registration of a computer program N683 "Computer program of management of sources of ionizing radiation". It was developed on-line calculator AlcoDrinks for the direct determination of volatile compounds in the alcohol-containing products using Ethanol as Internal Standard. Calculator can be found here . The calculator is designed for daily use by employees of test laboratories on quality control and food safety of manufacturers of alcohol products. In the experimental study of processes of interaction of electromagnetic radiation with composite materials based on multi-walled carbon nanotubes carbon nanotubes the experimental data on microwave and subTHz parameters of composite media are systematically and theoretically described. Three modes of interaction of nanotubes with electromagnetic radiation are identified: quasi-static, dynamic and intermediate. It is theoretically demonstrated that the effect of the screening of longitudinal field in multiwall nanotubes in the quasistatic mode significantly reduces their electromagnetic response and significantly affects the effective parameters of composite materials. An experimental model of microwave pulse generator with virtual cathode (axial vircator) is developed with powering on explosive magnetic generator. Experimental samples of explosive generators allowing powering microwave generator are designed, created and tested. The tests of the experimental sample of microwave generator with power system using both the direct conversion of chemical energy of explosion into the electrical one, and the capacitive energy storage. Maximum power of microwave radiation obtained in the experiments reached the level of 300 MW. The effect of the multiple increase of radiation intensity of gamma rays by diverging electron beams of high energy under conditions of multiple volume reflection in a single chip is predicted and discovered at the SPS accelerator at CERN. An important contribution to the development and justification of technical proposals for the modernization of the end parts of the electromagnetic calorimeter of the experimental setup of CMS Collaboration (CERN) to work in conditions with increased LHC luminosity is made. The preparation of technical documentation for the sketch of the experimental setup collaboration PANDA (GSI, FAIR, Darmstadt) is completed. A fundamentally new solution to improve the dynamic characteristics of the direct charge detector (DCD) is proposed. DCD is the main instrument for measuring neutron fluxes in the Boiling Water Reactor (BWR). Upgraded DCD allows not only to measure neutron fluxes under steady-state operation of the reactor, but to react to rapid changes in the neutron flux (on the order of seconds or less). Expanding the dynamic characteristics of the DCD signal in various conditions of sharp insertion of reactivity into the reactor is very important for the interpretation of the DCD signal in the operating reactor. Within the framework of the international project "Study the possibility of creating a superconducting niobium resonator for electron accelerators" on a prototype of niobium resonator (Fermilab, USA) the phenomenon of superconductivity is recorded and the value of loaded quality Q > 10^8 is experimentally validated. A prototype set of equipment for disposing of pharmaceutical waste and cytostatic pharmaceuticals is created. A large amount of technological works is carried out. It was destroyed more than 10 tons of cyto-static pharmaceuticals (for RSPC of Pediatric Oncology, Hematology and Immunology, RUE " Centre for Expertise and testing in Health Care" and other health organizations). High efficiency of developed technology is proved. The development and testing of a new method of measuring the volatile compounds in spirit products is completed. It is certified by the Federal Agency for Technical Regulation and Metrology of the Russian Federation (Rosstandart). This measurement method can be used in the development of international standards for quality control and safety of alcoholic beverages, motor fuel with the use of ethanol. The influence of Coulomb interaction on the phenomenon of optical spin rotation of negatively charged particles (antiprotons, etc.) moving in matter with polarized nuclei is considered. 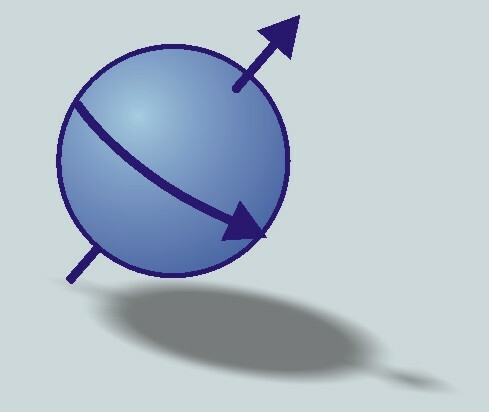 It is shown that because the density of the antiproton (negative hyperon) wave function on the nucleus increases, the spin precession frequency grows as the particle decelerates. As a result, spin rotation of negatively charged particles becomes observable despite their rapid deceleration. This provides information about the spin-dependent part of the amplitude of coherent elastic zero-angle scattering in the range of low energies, where scattering experiments are practically impossible to perform. A prototype of the electromagnetic radiation generator formed by a virtual cathode, with the power using direct conversion of chemical energy of explosion into electrical one, is developed and tested. The maximum power of the microwave radiation, obtained in the experiments, reached 200 MW. At designed and created with participation of INP scientists, CMS electromagnetic calorimeter at CERN, experimental results indicate the existence of the Higgs boson in the decay into two photons with high mass resolution. Experimental proof of localized plasmon resonance was found in thin films containing either single-walled carbon nanotubes (SWNT) or SWNT bundles of different length. All samples were prepared by a novel technique that permitted the selection of different SWNT lengths in different samples without significant differences in electronic properties. Fourier transmission spectroscopy showed that an optical density peak, the same as a terahertz conductivity peak, shifts to higher frequencies as the SWNT lengths are reduced in agreement with a similar tendency predicted for the localized plasmon resonance in finite-length SWNTs. It is proposed a simple cutting approach based on low temperature intensive ultrasonication in mixture of sulfuric and nitric acids. The method is non-aggressive with yield closed to 100%. It was applied to cut nanotubes, produced by three different ways. Raman and Fourier transform infrared spectroscopy were used to demonstrate that cut carbon nanotubes have low extent of sidewall degradation and their electronic properties is close to the untreated tubes. Effect of high energy negatively charged particle multiple volume reflection from planes of bent crystal predicted by Prof. V.Tikhomirov was observed experimentally at CERN with the University of Ferrara (Italy) and the National Institute of Nuclear Physics (INFN, Italy). The electromagnetic response of a multiwall carbon nanotube (MWNT) of small cross-sectional radius and finite length was theoretically studied in the terahertz and sub-terahertz regimes. The polarizability of the MWNT peaks in the terahertz regime depends on the length and the number of metallic shells. At lower frequencies, a strong depolarizing field creates a shielding effect: the penetration depth of the axial component of incident field depends on the frequency, the length, and the electron relaxation time. The screening effect makes MWNTs promising as interconnects. Experimental prototype of pharmaceutical waste neutralization equipment was created. Recommendations for using of radiation-measuring apparatus for measuring of iodine radioactivity in thyroid in the case of incidents at nuclear power plants including elimination of effects of Fukushima nuclear accident were elaborated. Principles of construction of the model of measuring of neitron flow in the active zone of nuclear reactor subject to parasitic effects were developed. It is shown that theoretically proposed by INP scientists and discovered experimentally together with scientists of the University of Ferrara (Italy) effect of multiple volume reflection of high energy particles by bent planes of crystal allows to guide effectively particle beams of LHC (CERN) and other major accelerators. For nanotubes with dielectric coating it is shown the possibility of practical application for thermolysis of cancer cells by radiation heating. It is shown that chemical doping of carbon nanotubes by boron and nitrogen leads to changing of conductivity in TeraHertz and far infra-red wave range. Experimental prototypes of flux compression generators were created. They allow to obtain peak current up to 1 MA and electromagnetic energy up to 100 kJoule. Transparent scintillation ceramics with high performance attributes were created. Monte-Carlo model of the Belarus atomic station reactor for calculation and forecast of neutron dosimetry and radiation monitoring in the near zone of the reactor was developed. Dose burdens on organs are described by mathematical processing of spatial dose distribution in phantoms of children.